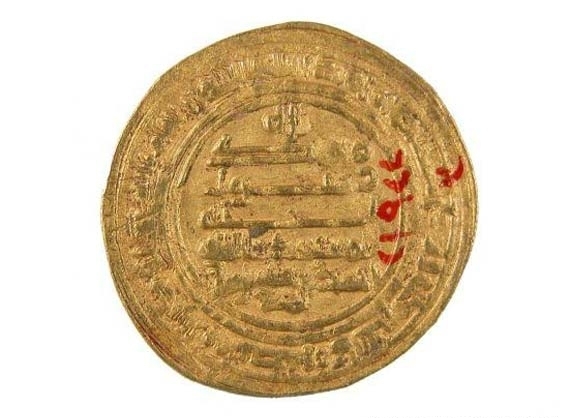 How old is the city of Cairo? 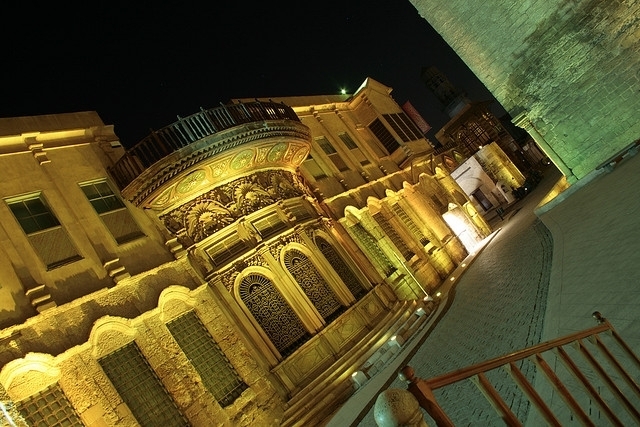 While it is no longer the center of Cairo, Islamic Cairo remains a living reminder of the city’s past. 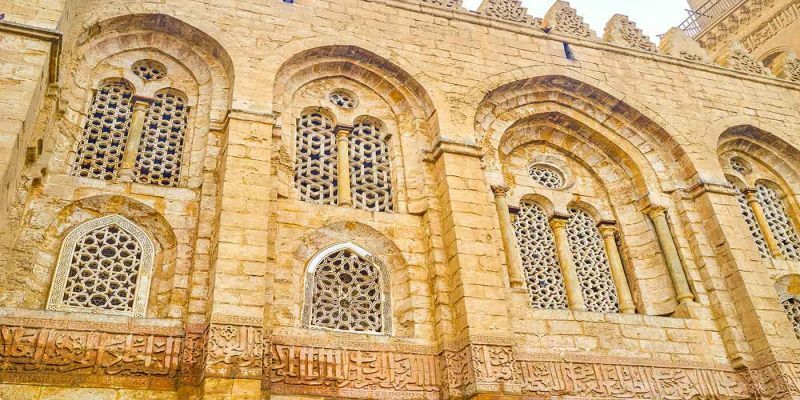 Most of the old city’s walls have long crumbled, but there are hundreds of monuments and beautiful mosques still lining the historic arteries of Al-Qahira. Islamic Cairo is unique from many historic districts in that it is still very much a living part of the city. 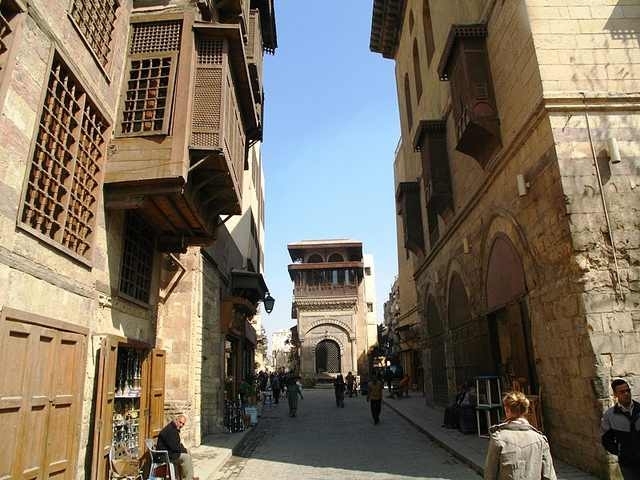 Although Al-Qahira was filled with palaces and administrative buildings when it was first constructed, the people of Cairo moved into the walled city during a 12th-century siege and they never left. 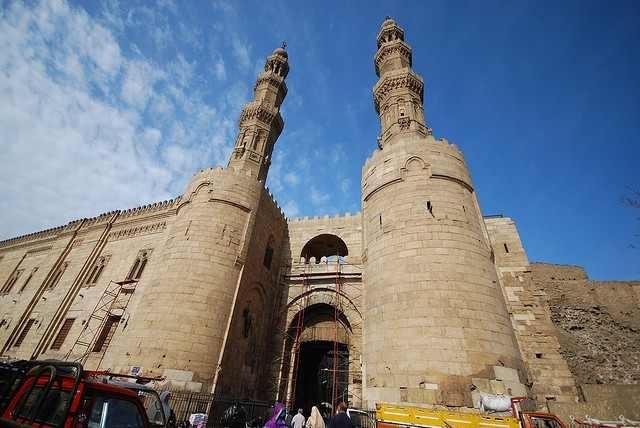 Despite its crumbling architecture and aging infrastructure, Islamic Cairo remains one of the most populous areas of Cairo, its many monuments weaved into the everyday lives of millions of Egyptians. 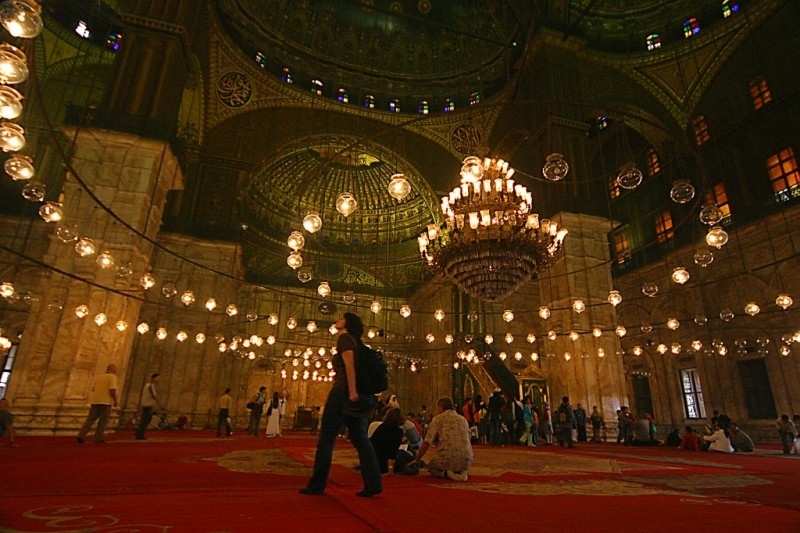 Visiting Islamic Cairo can be a daunting task. It is quite a large area, including the old Fatimid city as well as the districts reaching south to Saladin’s Citadel and Ibn Tulun Mosque. There are literally hundreds of sites of varying size and importance packed in along these narrow streets. Add to this the fact that it is still a busy commercial and residential area and Islamic Cairo can present quite a challenge. 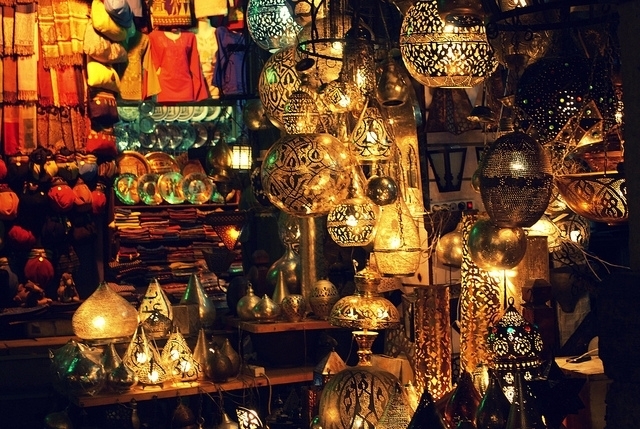 One could spend several weeks simply getting lost in these ancient streets without running out of new sights and experiences; however, there are several areas where more casual tourists should focus their attention to see much of what this historic district has to offer in a shorter amount of time. 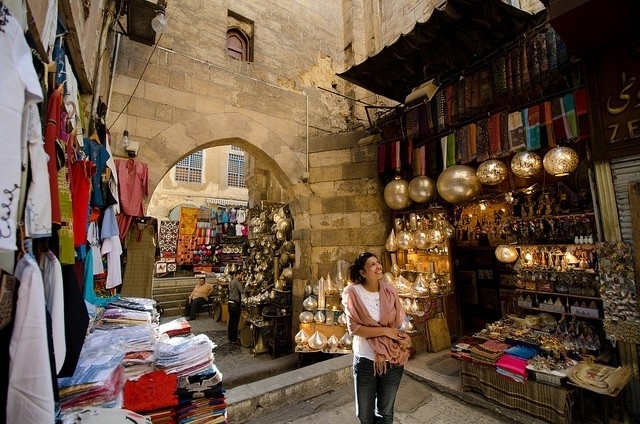 The greatest concentration of sights in Islamic Cairo is on Al-Muizz Al-Deen Street. This street was the main street through the city when it was built in the 11th century and mausoleums and palaces were constructed here. 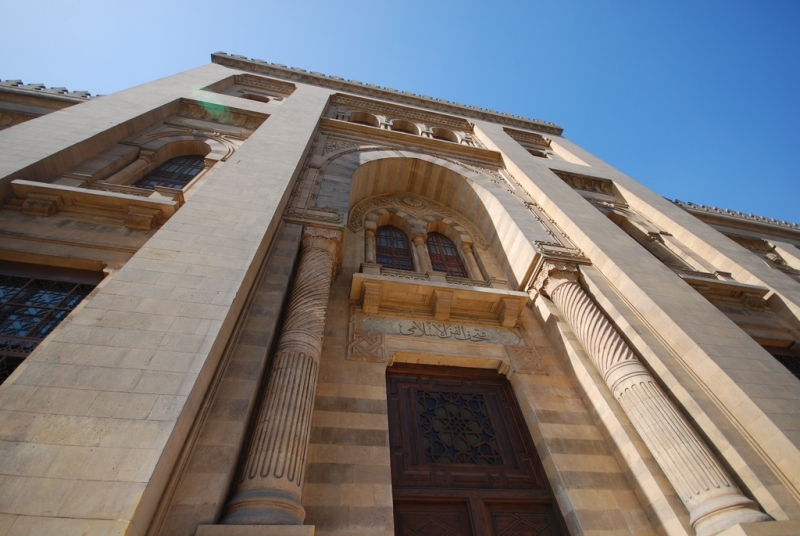 The northern section of the street (between Bab El-Fotouh and Al-Azhar Street) was recently restored. This is one of the most picturesque parts of Cairo. The Qala’un Complex here is one of the impressive in the city. 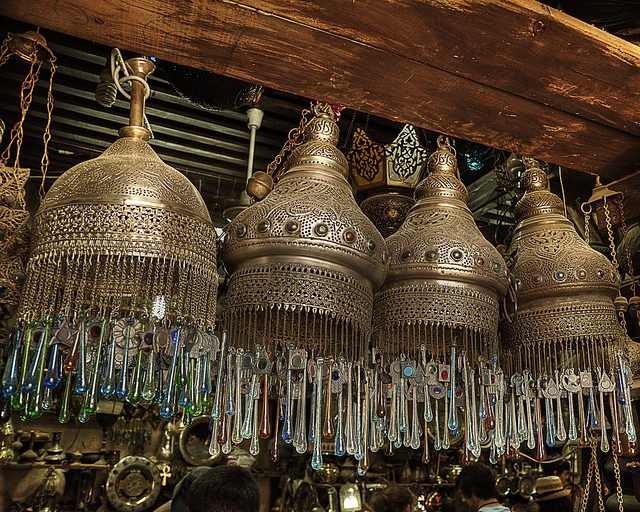 It is easy to spend a day in this area, ending up in the evening at Cairo’s famous 14th-century souk, Khan Al-Khalili. 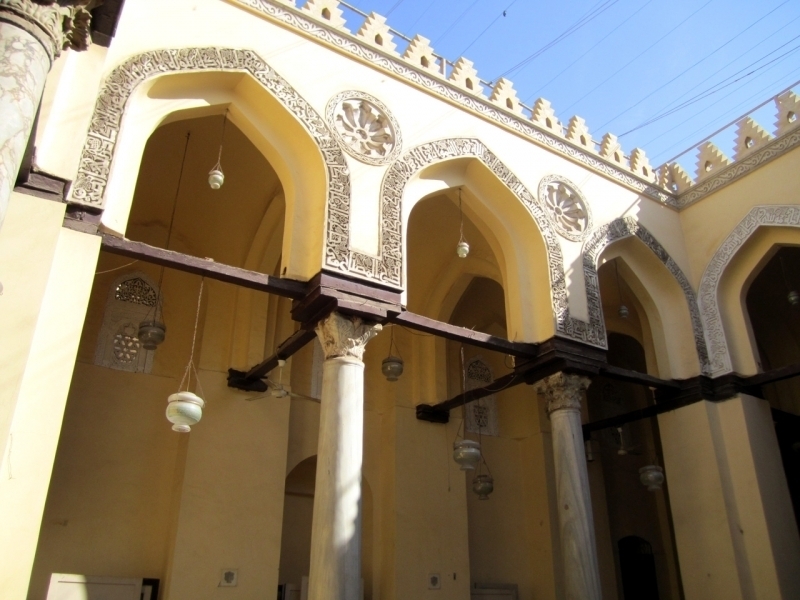 Restoration work on the southern section of the street (from the Ghouriya Complex to Bab Zuweila) was begun in 2011. 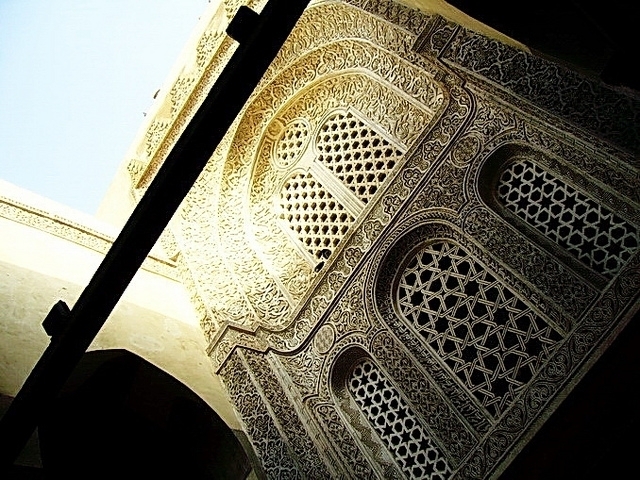 Also in the area of Khan Al-Khalili is Al-Azhar Mosque. 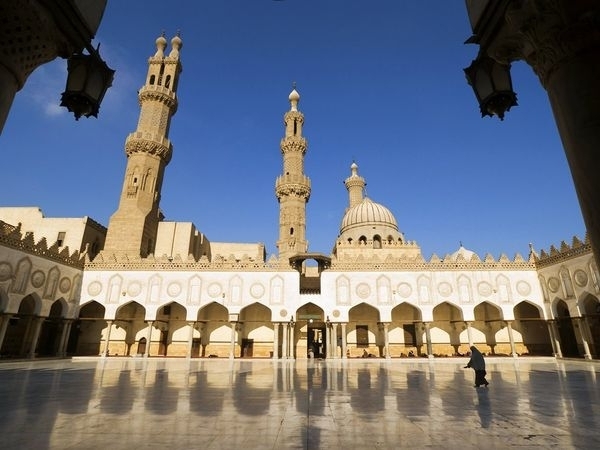 Who founded Al Azhar Mosque? And how old is it? 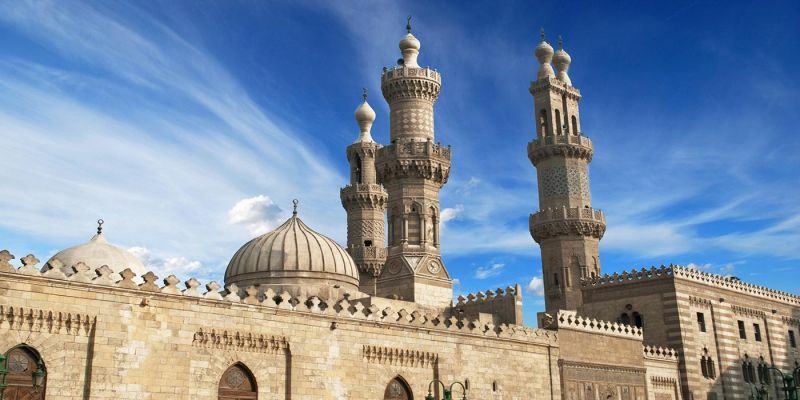 While there are hundreds of old mosques to visit in Cairo, there is none that can compete with Al-Azhar Mosque in standing and importance to the history of Islam. 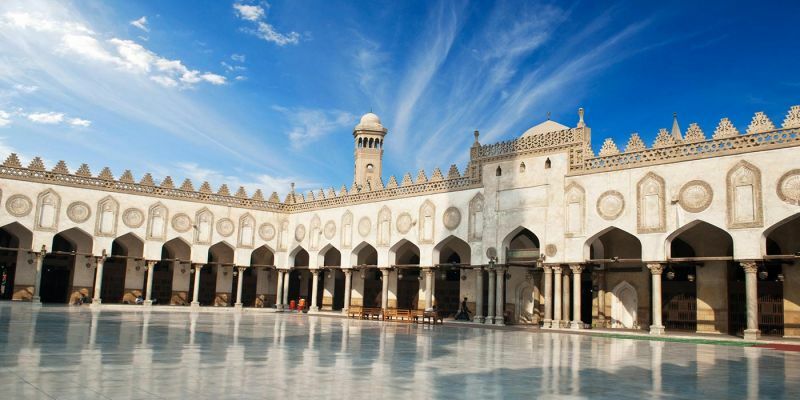 Founded by the Fatimids in 970 AD as a mosque dedicated to both worship and learning, it developed over the centuries into the most important center of Islamic theology and learning in the world. 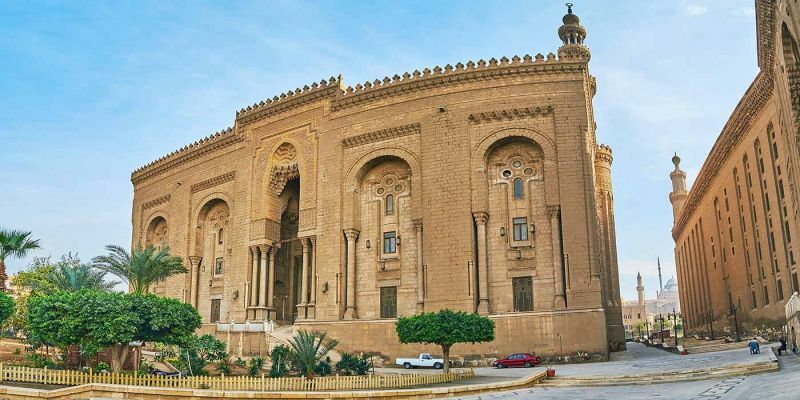 Over a thousand years since its founding, Al-Azhar Mosque and the university that bears its name draw students from all over the world to learn about the history of Islam and the different schools of thought that govern the interpretation of the Koran. 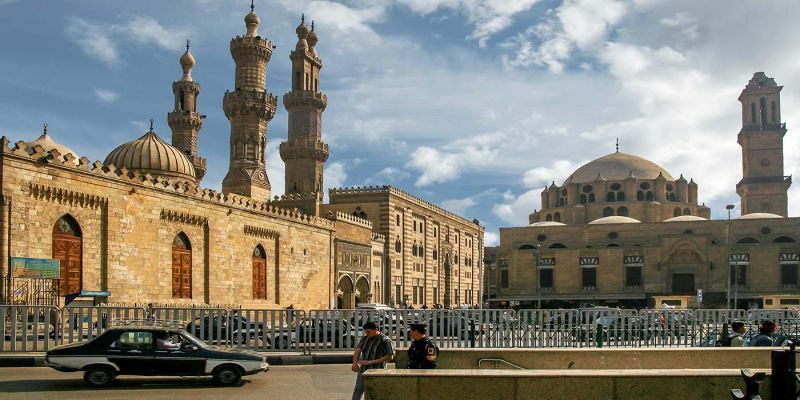 From its founding, Al-Azhar University was an institution that revealed in pluralism. 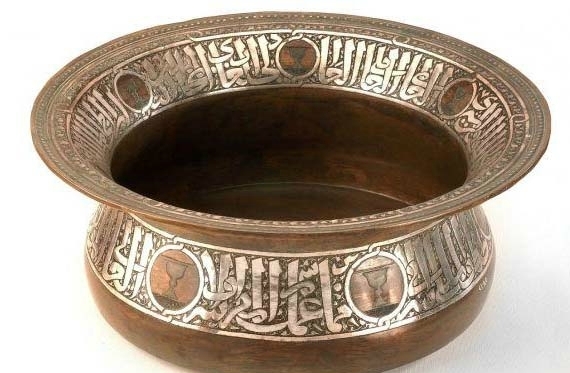 Founded by the Ismaili Shi’i Fatimid Dynasty, it became a Sunni university under subsequent dynasties in Egypt, but, in spite tension between these different theologies, Sunni and Shi’i scholars have worked, taught, and debated alongside one another at Al-Azhar for most of its history. 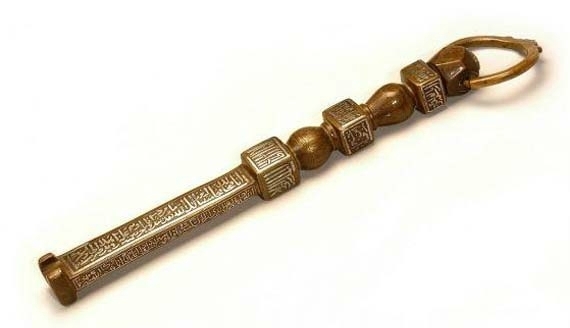 Today it is regarded with respect throughout the world as an influential moderating and regulating authority for Islamic theology. 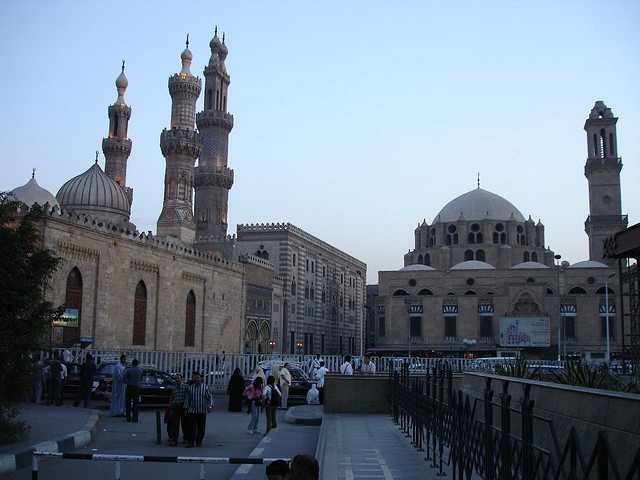 What are the most famous constructions of Islamic Cairo? 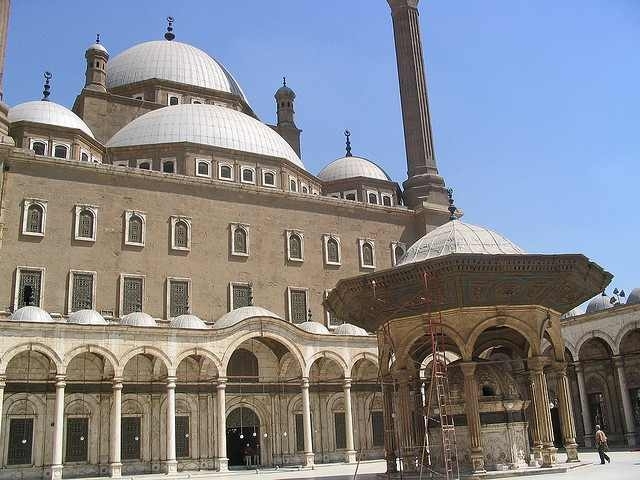 The southern section of Islamic Cairo offers some Cairo’s largest Islamic monuments. 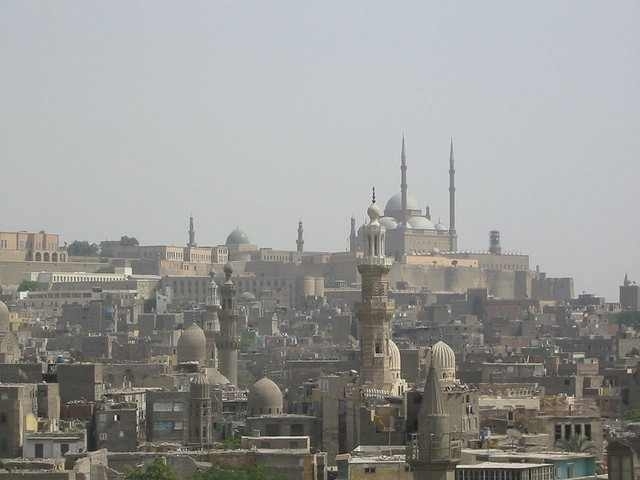 Construction of Cairo’s Citadel began under the Ayyubid general Saladin (Salah Al-Deen) in the 12th century. Today the Citadel offers breathtaking views over the city and several museums dedicated to Egypt’s police and military. 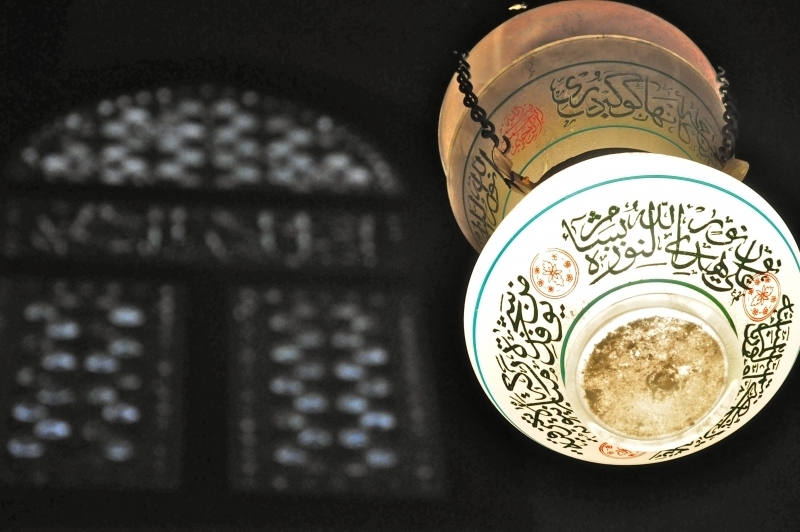 There are also three notable mosques inside the walls: Al-Nasir Muhammed Mosque, Suleyman Pasha Mosque, and Muhammed Ali’s Alabaster Mosque. 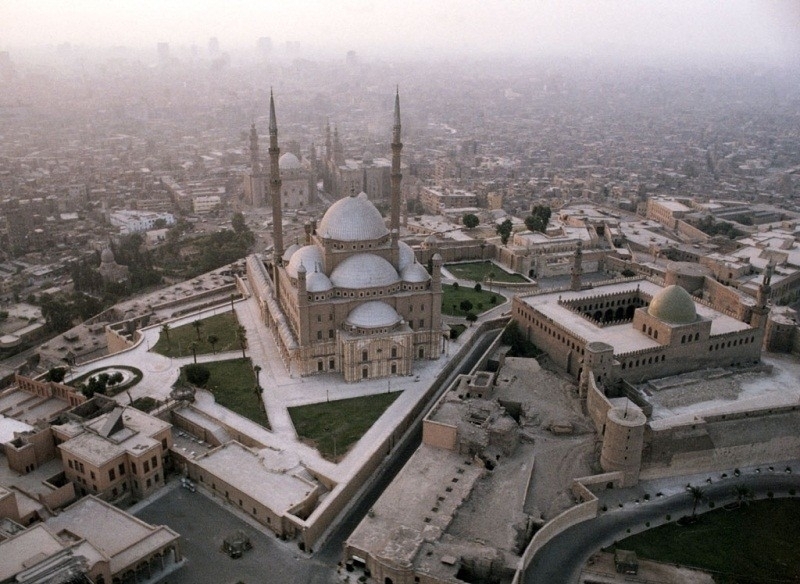 Below the Citadel is the massive Sultan Hassan Mosque, built by a 14th-century Sultan of the same name. 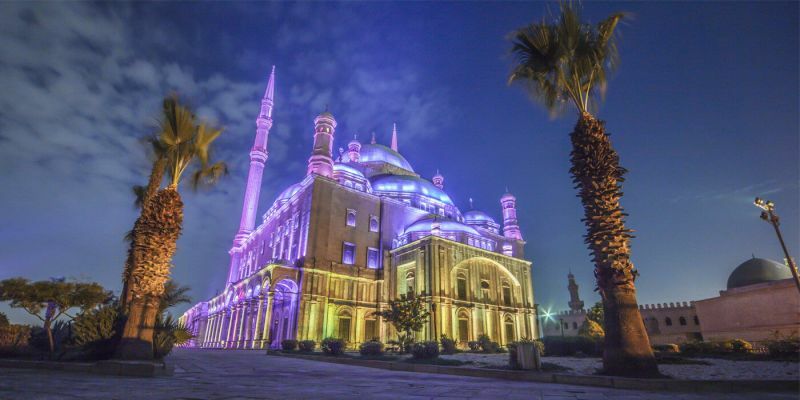 This huge mosque is built as a madrassa (religious school) and displays some of the most impressive architectural decoration in any mosque in the city. Ibn Tulun Mosque is within walking distance of both the Citadel and Sultan Hassan. 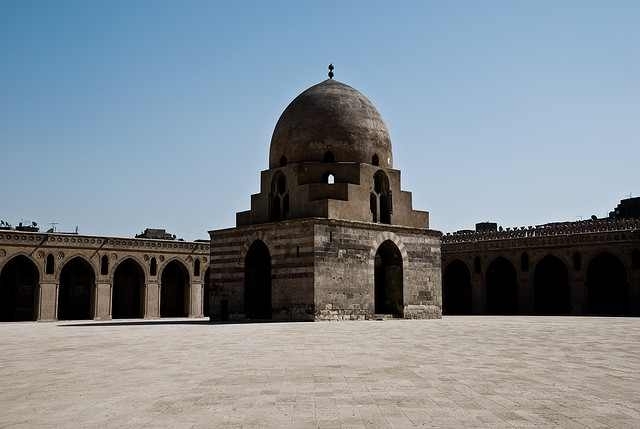 Dedicated in 872 AD, it is the oldest mosque in Cairo and the largest by land area. 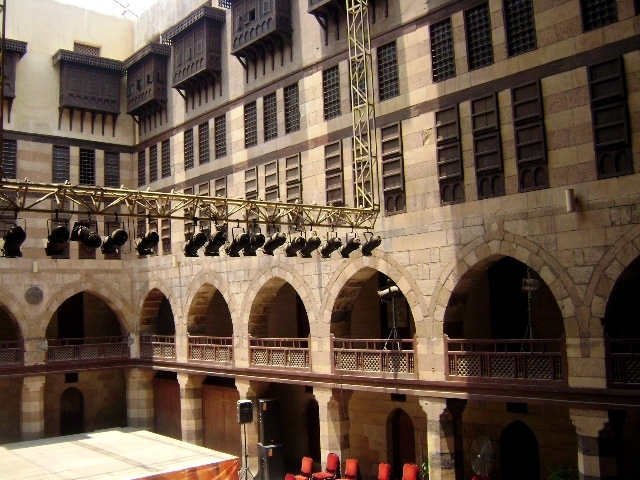 It is a truly impressive space, owing to its unique Samarran architectural style to the fact that it was built when Egypt’s rulers were from Iraq. Additionally, the Gayer-Anderson Museum attached to its outer walls. 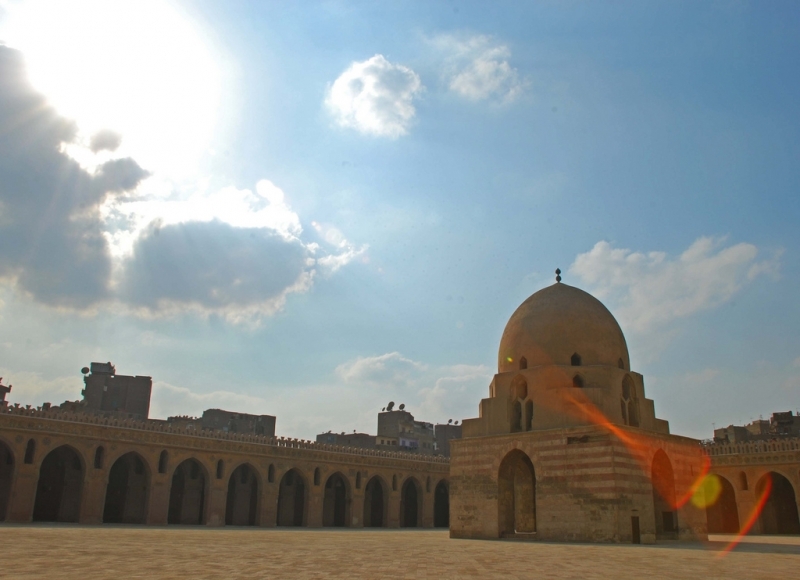 The proximity of the Citadel and Sultan Hassan Mosque to Ibn Tulun makes them easy sights to combine into a day of touring. Azhar Park is a new addition to Islamic Cairo. In the 1990s the Egyptian government reclaimed land that had been used as a landfill for centuries to create a park for the city. Today, Azhar Park offers 74-acres of park space to a city that has few green spaces. This beautiful setting offers spectacular views over the city and manicured gardens. There are a café and a restaurant as well. Watching the sunset from the park as the evening call to prayer echoes up from Cairo’s thousands of minarets is a truly memorable experience.